Jasmine @ Jasmine’s Reading has such a beautiful, beautiful blog and bookstagram! Malanie @ Malanie Loves Fiction does lovely post. She is funny and refreshing! The mystery blogger award is an award for amazing bloggers with ingenious posts. Their blog not only captivates; it inspires and motivates. They are one of the best out there, and they deserve every recognition they get. This award is also for bloggers who find fun and inspiration in blogging; and they do it with so much love and passion. 2. Thank whoever nominated you and include a link to their blog. 4. Tell your readers three things about yourself. 7. Ask your nominees any five questions of your choice, specifying one weird/funny question. When I was born I originally was going to be named Brittany. My dad (how ironic he isn’t even in my life anymore) did not like that name at all. My aunt (dad’s sister, which really isn’t in my life anymore neither) came up with Crystal. I am grateful because Crystal defiantly suits me. I had eyes for my husband long before we started dating. Our families have known each for as long as I have been alive pretty much. My aunt and his granny mentioned him to me. I creeped on his facebook and his lovely piano videos (what girl doesn’t love to be serenaded?) Nothing happened for a few years until one day I meet him at a wedding of one of my friends which he was playing in. Then the rest is history. I absolutely love animals. I can’t even see an injured animal without breaking down into tears. Literally. If I could I would save them all. I am a huge advocate for any animal organization. How do you keep track of the books you’ve read and want to read? Goodreads! My shelves are my babies. Plus I like to keep track in my bullet journal. Is there a book that you were required to read and really enjoyed? 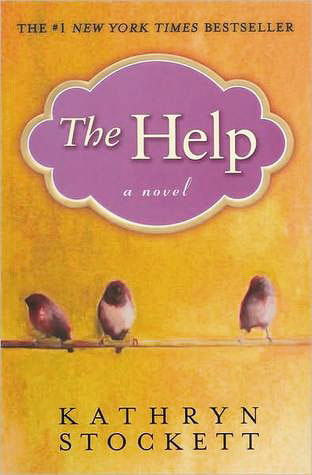 The Help by Kathryn Stockett. I enjoyed it more than I thought I would. Describe your perfect reading experience (where are you, what’s the weather like outside, what is the time of day, be as detailed as possible). I am on my front porch at night. The sky is clear and all you can see are stars with a full moon. The crickets and frogs are the only thing I can hear. The summer night breeze is gently blowing the trees. Everything is so peaceful and relaxing. Hopefully I will get to have many summer nights like this, this year. Name a book that changed your life or transformed your opinions or perspective on something. 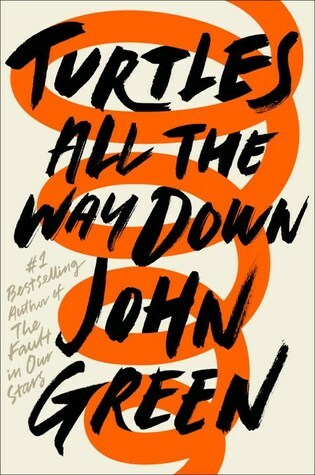 Turtles All the Way Down by John Green. I truly never realized how bad OCD can be. Pay my debt off, give some to my family, give a lot to my church , charities, put some into stocks, put the rest into savings, oh and buy books! 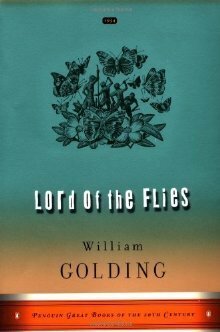 What hyped book, do you hate/dislike? Hmm, the one popping into my head at the moment is Lord of the Flies. I haven’t ever really hated a book but I do dislike this one. What is your worst and best trait? My worst trait is being restless minded. It can cause me to be unstable. My best trait is being compassionate. What is the most interesting thing you’ve read this week? 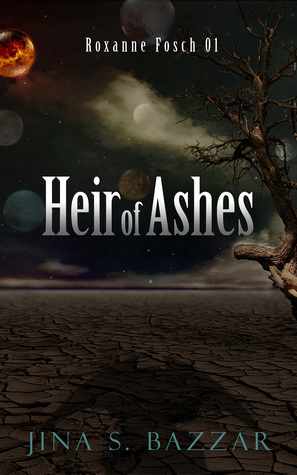 I have just been reading one so far this week, Heir of Ashes by Jina S. Bazzar. If you were arrested with no explanation, what would your friends and family assume you had done? What is your most anticipated read of the year? What is your favorite hobby, besides reading? What is your favorite cheesy joke? Thanks for the nomination! I were to be arrested it would probably be from reckless driving as well! hahahhh oh my gosh RECKLESS DRIVING SAME. It rather is ironic isn’t it? Haha. ☺️☺️ you’re welcome! Haha, yes. I totally can relate to that except it’s my husband and whoever else rides with me. 😝 plus I have a tendency to run stop signs and stop lights on an accident. I’m going to be reading Heir of Ashes hopefully soon. I hope I like it. It sounded like it would be good. I’m sure you have some admirers!! Hahaha you are TOO kind! !